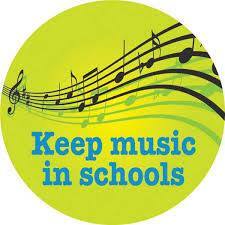 Communities and school districts continue to fight to maintain their arts programs. With budget cuts being made on both the federal and state levels, the arts are the first to go to schools and the community. Upon the news of eliminating all band, orchestra, choir and performing arts programs in my school district, I watched community members scramble to create a meaningful campaign to save the arts. The art patrons, parents, and students in my community banded together to raise enough money to save the arts. Many of them worked down to the hour of the proposed cancellation to secure funding. Other school districts have not been as lucky. Even when communities are able to salvage their arts programs, the quality of the program is directly proportional to the quality of the teaching and supplies poured into the program. However, with little to no money being allotted to salaries and the purchase of equipment, the arts programs need to make their dollars go further faster. Flexible and dual-use solutions are a necessity, especially when trying to convince boards or departments for approval or funds. Movable sound-absorbing dividers are a simple cost-effective solution. Their mobility is necessary, especially since many music groups do not have designated rehearsal spaces. Fitting neatly around risers or chairs, the movable dividers help direct your choir, band or orchestra’s sound. Since they are also tack-able, the dividers can be decorated to suit everything from your holiday concert to a class play. For more advanced ensembles, sound absorbing wall mounts help reduce phasing and echoes in rehearsal spaces. This not only gives your group a more transferable rehearsal process but helps students craft a clearer, crisper and body-filled sound. Wall mounts can be put on the front and sides of the rehearsal space and easily removed if you rehearse in a shared space. 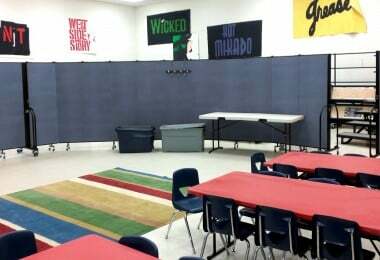 In using economic supply solutions such as movable dividers and sound absorbing wall mounts, arts programs are able to keep creating their unique sound in their community by staying fresh and flexible.